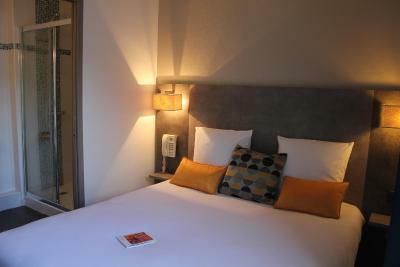 Lock in a great price for Hotel The Originals Nantes Centre Gare Novella (ex Inter-Hotel) – rated 8 by recent guests! 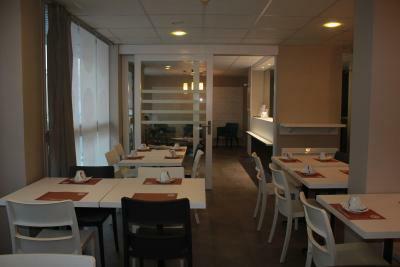 Great location and easy accessible to main transports in Nantes. The receptionist was very helpful and friendly. 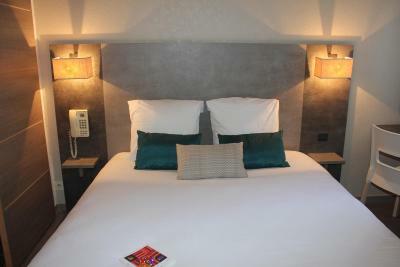 The beds were comfortable and the location within walking distance of the bus stop from the airport and near shops etc. Very good access to go anywhere and Friendly staffs. 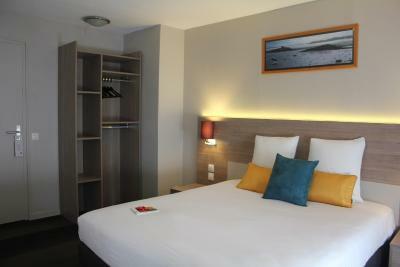 Clean, comfortable, friendly staff, walking distance from the main train station. Close to the down town. Good location. Nice and willing staff. Simple, good value for the money. The hotel is in a great location. The breakfast was hearty and perfect for a cyclist. 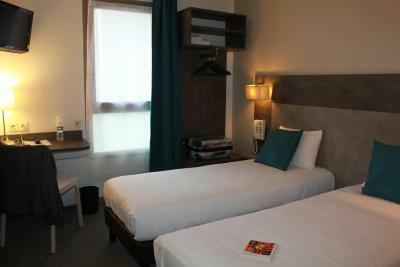 The room was perfect for our needs and the the hotel was only a 10-15-minute walk from the main train station. 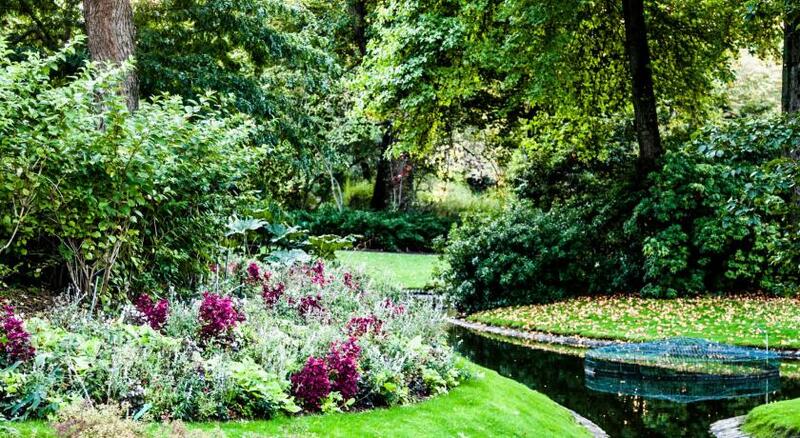 The château was at one end of the street, just five minutes away on foot, and the fabulous Jardin de Plantes (Botanical Garden) was about a 10-minute walk at the other end. The staff were friendly and helpful, and provided a useful city map and a wonderful breakfast. The location was great and the street was quiet. The location is great. Next to the château and close to tram. 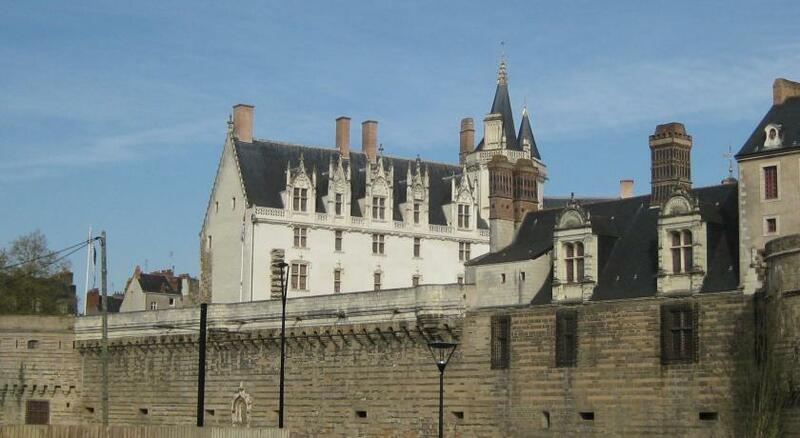 Great location, not far from the Chateau des Ducs and the train station. Great breakfast. 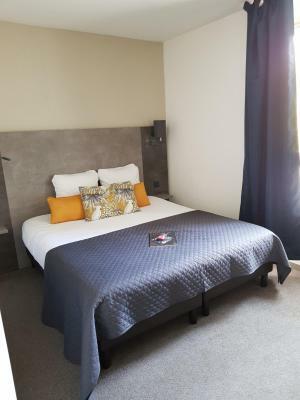 One of our top picks in Nantes.Located just 1,650 feet from Nantes Station, Hotel The Originals Nantes Center Gare Novella offers guest rooms with LCD TV and free WiFi access, most of them overlooking the quiet interior courtyard. 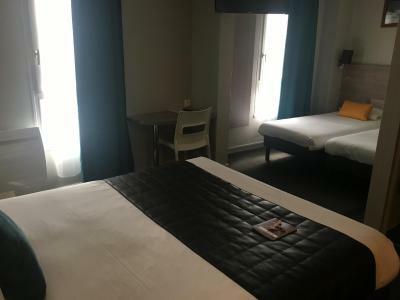 Hotel The Originals Nantes Center Gare Novella is located between the Château des ducs de Bretagne and the Jardin des Plantes de Nantes, in central Nantes. Guests can enjoy a continental buffet breakfast, served every day in the dining room. 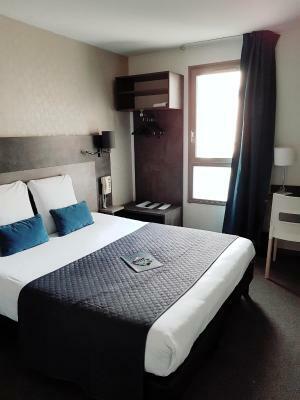 The Cité des Congrès de Nantes is a 10-minute walk from Hotel The Originals Nantes Center Gare Novella and guests can access numerous train and tram services from Gare de Nantes. 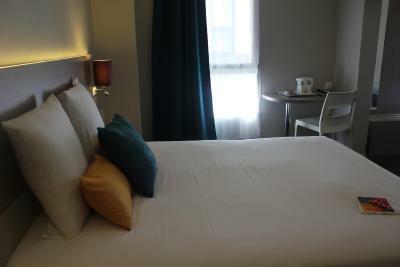 When would you like to stay at Hotel The Originals Nantes Centre Gare Novella (ex Inter-Hotel)? 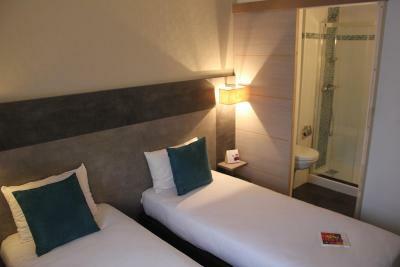 This room has a flat-screen TV with cable channels and a private bathroom with a shower. 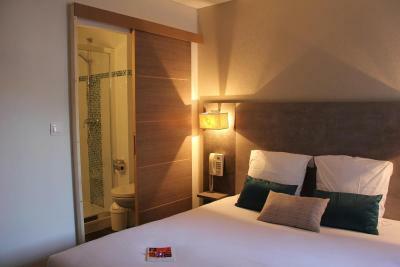 This spacious room has a flat-screen TV with cable channels and a private bathroom with a shower. 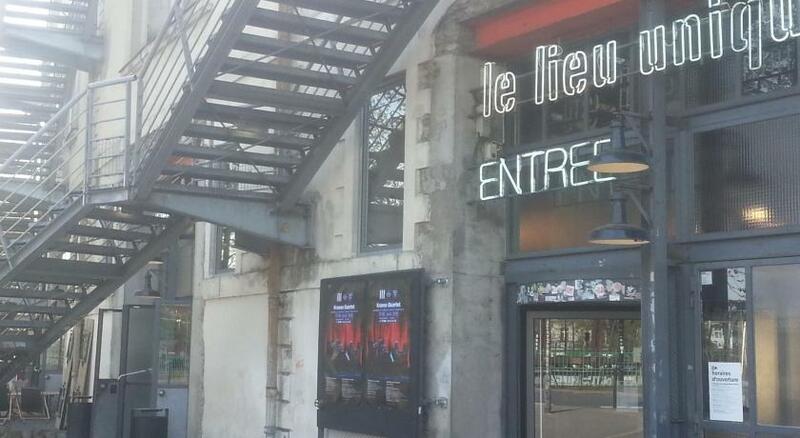 House Rules Hotel The Originals Nantes Centre Gare Novella (ex Inter-Hotel) takes special requests – add in the next step! 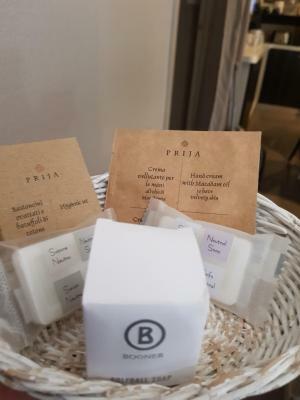 Hotel The Originals Nantes Centre Gare Novella (ex Inter-Hotel) accepts these cards and reserves the right to temporarily hold an amount prior to arrival. 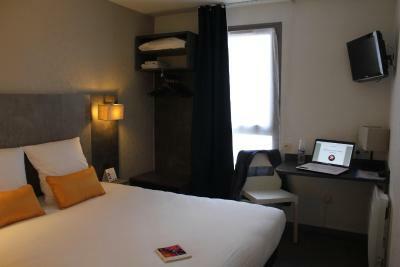 Please inform Hotel The Originals Nantes Centre Gare Novella (ex Inter-Hotel) of your expected arrival time in advance. You can use the Special Requests box when booking, or contact the property directly using the contact details in your confirmation. Elevator stopped working and we were at 4th floor. Price of breakfast expensive looking at quality provided. 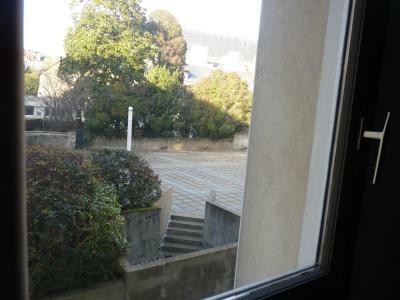 Excellent location, next to train station and the castle, and not far from downtown. Good location. Decent price. Powerful shower. 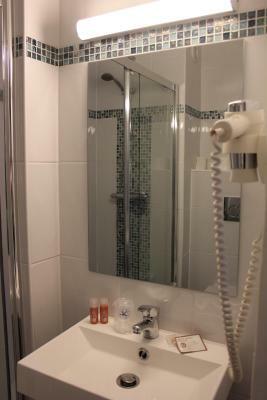 The breakfast area was small and there was a small issue with the shower not draining quickly enough. 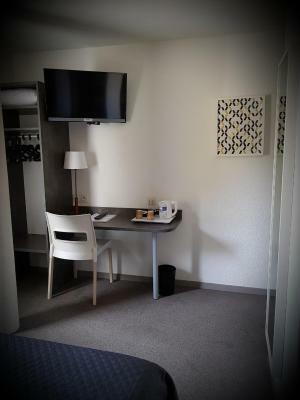 Rooms are RELATIVELY small but fine, lights are not bright, but bright enough. Shower was good, and the place was quiet. 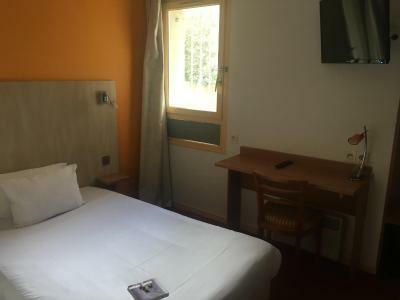 Excellent location near the main station and tram terminus, and only 20 mins to the airport by bus from the train station. 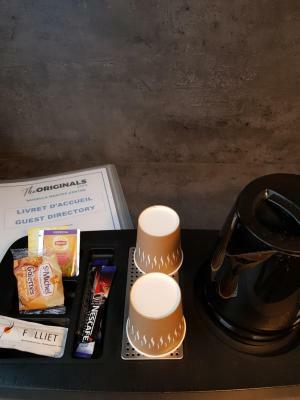 The hotel is 1 street back, away from the main drag and the noise from the trams and the roadworks going on around the station, which starts at 7 am, so I was very very pleased that I had chosen the Novella instead of one of the others. Brady's Bar is literally around the corner and is a friendly and busy Irish/French bar with good food and beer. I didnt go to any others as Bradys was good, and on the doorstep. The room was small for 2 people, not much space to turn around and put small luggage. The shower tap worked, but was damaged. The location is very central. My room had everything I needed. Breakfast was really basic, but good. 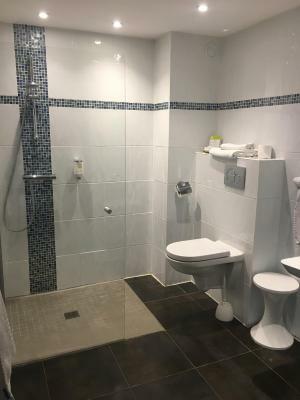 Friendly staff and perfect location near the city centre. Room and comfort in proportion to the price. We recommend this place for short weekends. Breakfast is good! For some reason heating didn't work. The hand wash sink was a bit blocked.